Jocelyn gave birth to her son in a Brazilian hospital. She had a traumatic time. An unwanted cesarean, subsequent infection, complications and further surgery kept her from taking care of her baby. When she was finally allowed home to be with her family, things didn’t go well. Thankfully, she eventually found APP. 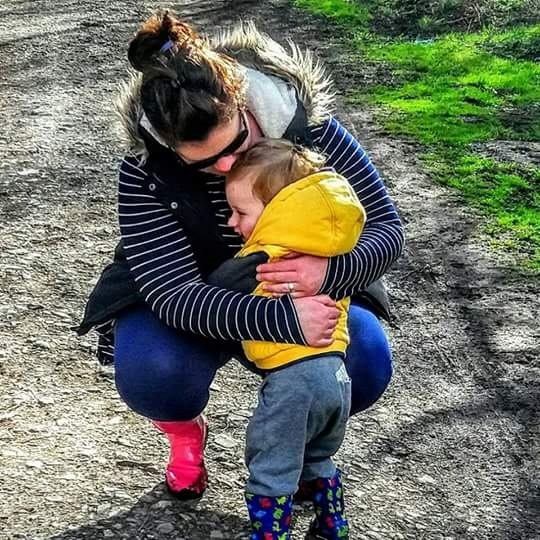 “I was finally allowed home and felt like an awful mother, I hadn't had the skin to skin contact for as long as I wanted when he was born, I couldn't do all his "firsts" and now I was back to square one again. I thought I had postpartum depression and my husband told me one night that he thought I was depressed. I agreed with him but not to his face. My husband realised that there was a bigger problem when we decided to go into town by bus. I was convinced he was actually taking me to the hospital, as he was using a different nappy bag. I thought people were staring at me and then at my baby. I thought I was bleeding and my dress was covered in blood and the reason people were staring at the pram was because there was no baby in it. I thought that the second c-section was because my baby had died and everyone was humouring me by agreeing that my baby was still alive. I asked my husband if we actually had a baby and if he was alive and in the pram. He replied of course can you not see him? My response was I can but can everyone else? Everything seemed much worse than it was. I thought my husband hurt his shoulder, which had been broken a few years ago. I was sure he was in lots of pain but was trying to hide it from me so as not to worry me. I took myself and my baby off to a friend's to give him an excuse to go the hospital without me supposedly knowing and spent the afternoon telling my friends that he was in hospital but didn't want me to know or worry me. We decided to go the beach, thinking that some time away and a place to relax would calm me down. I would break down and have panic attacks not knowing who to trust because if doctors lied about things then everyone did. One day we were on the beach and we went into the sea and I was convinced I was dying and the waves were taking me into the light to die. Then when my husband was dressing me I started screaming that he was putting me in a straight-jacket. We finally decided that we should go back home and see a psychiatrist. After 3 or 4 attempts to get me in the car, we finally got on our way. I refused to open my eyes at the hospital, as I didn't want to see anything that wasn't real or see the doctor from my first surgery. They sedated me as I hadn't slept for 3 days and took me to another room which I thought was the operating room, as I still refused to open my eyes. I started screaming not to give me an epidural, as in the second c-section it was done by a resident and was really difficult and painful as I was so tense. I was petrified I was going to get another. I was told to come back the next day as the psychiatrist wasn't there. The next day I was given 5 months worth of antidepressants and sent home. Having no previous history of mental health issues, hearing some of the things I did, just sounds unreal. My husband said I thought I had two babies at one point because of the two c-sections. I thought that my baby was acting like scenes out of The Exorcist, that my husband had cameras in the bedroom to check that I was being a good mother. I was paranoid about everything and couldn't make simple decisions. I became obsessed with taking photos to see if I could really see my baby and that he was real. People told me I shouldn't eat certain foods because it would give the baby more colic, wind or make my milk taste funny. So I stopped eating and lost about 2½ stone in 3 weeks. Because everyone was talking Portuguese I always thought they were talking about what a bad mother I was. After researching postpartum psychosis, I found APP and frequently used the peer support forum. This was the only support I had until we decided to return to the UK when my son was 9 months old. I received some CBT and continued with antidepressants. I found that speaking to other people that had had the same experience was the most valuable support. While mine was only online, if women and their families had a "buddy" that they could meet up with that had been through the same experience, I believe this would be invaluable. There is so much stigmatism and shame admitting that you are struggling during what should be the happiest moment in your life, connecting with other people I believe would help families feel more normal and provide hope."